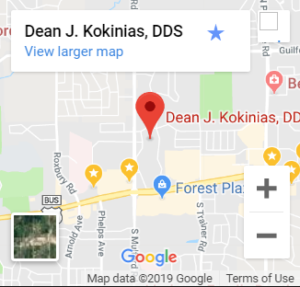 Come see our office to have your smile restored. A filling repairs and restores the surface of a tooth that has been damaged by decay, minor fracture, or wear. If tooth decay or tooth wear is not repaired at its early stages, it will worsen and additional or alternative dental treatments may be necessary. With proper care and routine oral hygiene, a filling has a lifespan of 5-30 years, depending upon the type of filling material used. With proper care and good oral hygiene, the life of a crown can range from 5 to 20 years. Metal offers strength and endurance. A metal crown may be recommended for back teeth where the forces of biting and chewing are the greatest. A metal crown virtually never fractures. In addition, it requires minimal removal of tooth structure. Porcelain-fused-to-metal offers the benefits of a natural surface color that resembles the rest of your teeth and the strength of a metal substructure. Similar to the full metal crowns, they are primarily placed on the back teeth. A crown is utilized to restore an existing tooth back to its natural appearance, whereas a bridge uses surrounding teeth to help fill the gap of a missing tooth. A lost tooth creates a gap in the alignment of teeth. Therefore, once the space is no longer occupied with a tooth, the teeth are likely to shift and move out of place. A bridge fills the gap and helps to maintain the structure of your smile.